Many great documentaries were premiered at this year's SXSW Conference and Festivals, and at first glance, Stuffed seems to stick out like a sore thumb. Especially for animal lovers, the idea of a documentary about the process of preserving dead animals could seem rather off-putting. The movie's director, Erin Derham, admitted herself prior to the premiere how she "hated" the subject of taxidermy just a couple short years ago. However, after working on the doc, Derham wound up gaining a greater appreciation for taxidermy than she could have foreseen, concluding it to be one of the world's most beautiful art forms. When you watch it for yourself, Stuffed just might completely change your opinion on the topic as well. Those who love animals need not worry about the movie highlighting the exploits of trophy hunters. Something you'll quickly learn about taxidermists is how much they actually care for nature and the fantastical creatures to be found within. This means the animals used for the process died from various natural causes, and it's important to note none of the artists are actually harming any of them. Motivations for "stuffing" the animals vary from art to preservation, but each case results in giving the creatures an afterlife of sorts. Although the hobby is clearly not for everyone, seeing the passion taxidermists have for their work and their admiration for nature makes it impossible not to respect the things that they do. There are many different forms of taxidermy, like many other kinds of art. This includes novelty taxidermy, which is the kind most outsiders are probably most familiar with. Animals stuffed this way will be staged in comical situations, often with fitted costumes, such as a piece featuring squirrels in suits sitting around a table. Another kind of taxidermy creates many unusual and unrealistic hybrid animals, such as a creature depicted as half-crow and half-cat. Perhaps the most common, however, are the old-fashioned style pieces, featuring the animals how they would have looked in life. As we see in Stuffed, hours upon hours of work must be undertaken by the artists to make sure everything looks perfect. Even knowing inside that these are deceased animals we're observing, it's hard to think of what you're seeing as anything other than beautiful. 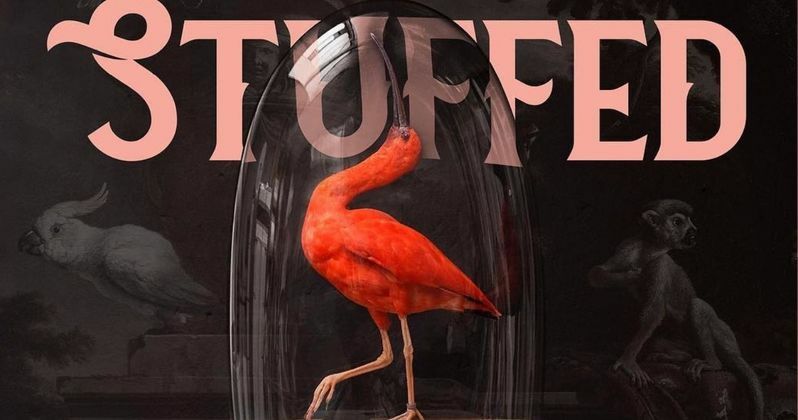 Stuffed introduces us to the artists involved in taxidermy as well, in addition to teaching us about the art itself. As you might expect, some of them have experienced some awkward situations in their social lives, once people they meet learn of their hobby (or, in some cases, their full-time job). One person reveals how letting a potential love interest know about what they do on a first date can get awkward fast, as taxidermists are often compared to serial killers like Ted Bundy. It's an unfortunate stereotype, because as the movie proves, taxidermy is just nowhere near as repugnant as those who know nothing about it might assume it to be. The SXSW audience for Stuffed all seemed to appreciate the documentary when the credits began to roll. Like any good doc, it will certainly teach you something new, especially if you really know nothing about the art of taxidermy. The amount of effort and artistic value that goes into so many of these pieces just might amaze you. But while I walked away from Stuffed with a much greater understanding of taxidermy, don't expect me to start decorating my house with stuffed animals anytime soon.